Is your Sony phone looking kind of boring with a plain case that everyone has? Here at YourCustomPhoneCase.com nobody can have the same case as you! Design a custom Sony Xperia Z5 case exactly as you want it, we offer a wallet case and a hard case, both of which are fully personalizable! Your Z5 cellphone will fit perfectly into the case as they were designed specifically to keep this model of phone safe, of course! Using our customizer is super easy, just upload a photo of anything you like and mess around with our effects and text! As soon as you order it we will try and make it, so what's stopping you? 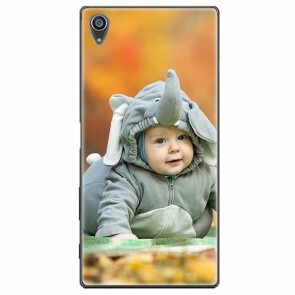 Make your own custom Sony Xperia Z5 case today!